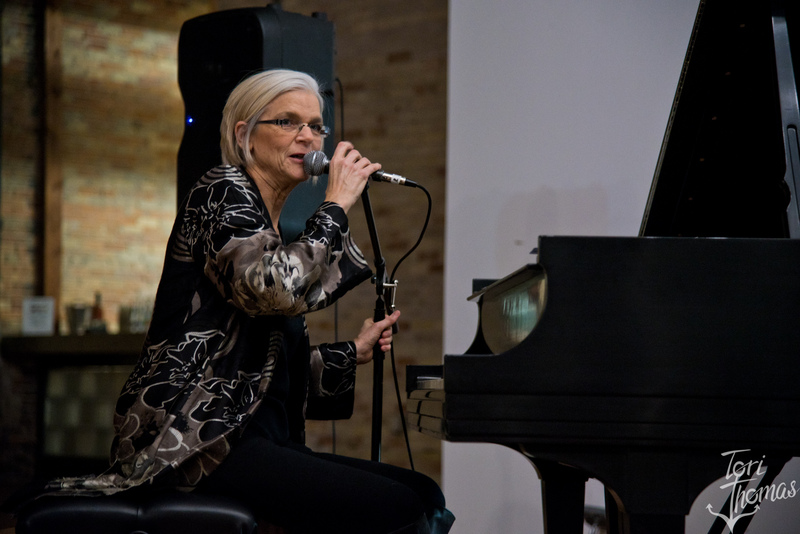 With much-respected jazz pianist Robin Connell playing several shows in Grand Rapids this week, Local Spins revisits the profile it published in 2017 after she was named West Michigan Jazz Musician of the Year. 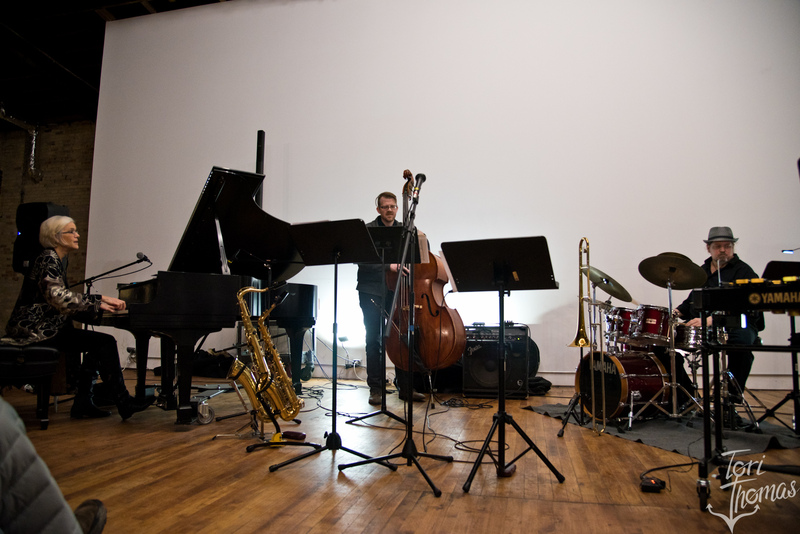 EDITOR’S NOTE: In 2017, jazz pianist Robin Connell was honored as the West Michigan Jazz Society’s Musician of the Year, with Local Spins writer Matt Marn profiling the self-described ‘workhorse’ and jazz ambassador. 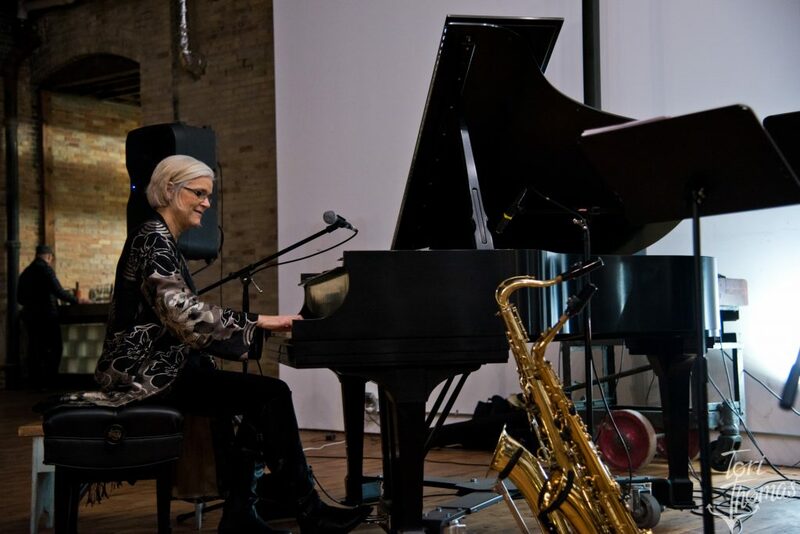 She continues to spread her love of jazz via performances and teaching, playing several shows this week in Grand Rapids. Local Spins revisits this Artist Spotlight feature, first published in May 2017. Scroll down for the Local Spins on WYCE radio show podcast. WHERE YOU CAN SEE HER: 8 p.m. Thursday (Jan. 17) at One Trick Pony in Grand Rapids; 7 p.m. Friday (Jan. 18) at St. Cecilia Music Center in Grand Rapids as part of the St. Cecilia Music Center Youth Jazz Ensembles Concert; 6:30 p.m. Monday (Jan. 21) with the Paul Brewer Quartet at the Casino Club at 3260 Salerno Drive NE in Grand Rapids (West Michigan Jazz Society’s Jazz Gumbo); 6:30 p.m. Wednesday (Jan. 23) at the GVSU Eberhard Center in Grand Rapids; 5 p.m. Jan 25 and 2 p.m. Jan. 27 with the Cooper-Connell Trio at Harmony Hall in Grand Rapids. For future shows in Grand Rapids, Lowell and Spring Lake, go online here. When pianist Robin Connell moved with her family from Colorado to Grand Rapids, she approached their new chapter with enthusiasm, ready to see what the area could do for her family. 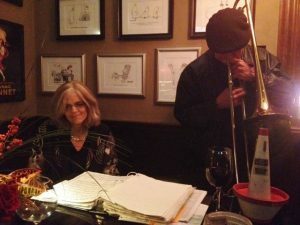 But now, years later, the West Michigan Jazz Society has taken the opportunity to reward Connell for all she has done for the local music community. A professional performer and longtime music educator, Connell has been named Musician of the Year by the West Michigan Jazz Society. Connell identifies first as a jazz musician, because that is what she loves and focuses on most of all. Connell soon began accepting almost every job, gig or opportunity to play – sometimes purely for the income. Each new experience forced her to expand her skill set and constantly push her knowledge and experience. Raised in Detroit and Northport, music was so important in Connell’s family that her parents bought a piano before they bought a car. She started studying music at age 7, including stints with the pipe organ and classical voice. But when she first heard noted keyboard player Eddie Russ at the old Les Idees, Connell became entranced by jazz. She studied music at then-Grand Valley State College and earned a doctorate of arts in music theory and composition from the University of Northern Colorado. Connell met her husband, Paul Brewer, while they were summer camp teachers at Interlochen Center for the Arts. They moved to Grand Rapids when he accepted a faculty position at Aquinas College in 1999 as director of instrumental music. 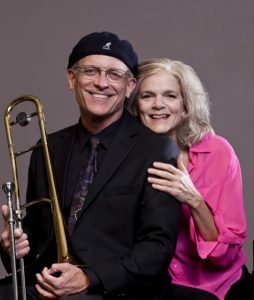 “Paul got a call from someone in the West Michigan Jazz Society, inviting us to a welcome party at one of the members’ homes,” Robin Connell recalled. Connell spent the first few years in Grand Rapids in a number of music positions, including choir accompanist at Fountain Street Church and as a music department adjunct faculty member at Grand Rapids Community College, as well as teaching at Interlochen Arts Camp. “I feel I’ve been able to develop some friendships partly due to the West Michigan Jazz Society,” she said. Connell believes the WMJS is part of a larger West Michigan music picture that includes musicians, educators, patrons, venue owners and students. Many other performers share the stage with Connell from time to time, including her husband. WMJS will present the award to Connell at a special banquet on May 15. But for now, she said it feels great to realize there is so much appreciation for her efforts around the area. Connell said in a similar way, others in the local music community enrich her own experience. “Hearing other people keeps me inspired. I often experience two, almost simultaneous, thoughts – one: ‘Wow! I want to play like that!’ And two: ‘Why do I even bother? They are so much better than me!’,” she said. “For me, it is a fascination with music, and my desire to share that with others. My husband and I share this belief: Everything boils down to fear versus desire. If the desire is great enough, one will push through the fear – and vice versa. My desire to play, and improve, pushes me past the very real fears I’ve had, and sometimes still do. Shannan Denison, WMJS president, said Connell received multiple nominations for Musician of the Year from other members and past recipients of the award. Connell clinched the award because she’s a jazz ambassador in the community, and contributes to youth programs and activities that help pass jazz on to future generations. 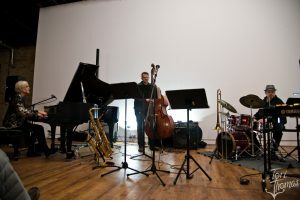 Above that, Denison said, Connell has served as an inspiration to others, spending countless hours on the jazz scen as a performer and educator. “Robin is a huge advocate for jazz in the local music community. As a musician, she is humble about her talents, and quick to share the stage,” Denison said. “My hope is that anything I do somehow enriches another person’s life. It seems extremely self-centered to be a performer. Yet, I’ve realized that we all need relief from the daily grind, or to be inspired spiritually or emotionally moved,” she said. When Connell first decided to be a professional musician, she simply wanted to be able to earn her living as a musician. “I see myself as a ‘workhorse’ musician who has, at times, also developed a personal artistry,” she said. “A workhorse may not be recognized for the contributions it makes to the farm, when standing next to the winner of the Kentucky Derby. Perhaps the same sometimes holds true for musicians. There are many musicians in the Grand Rapids area that have top-notch musicianship skills, who are often publicly unrewarded for their achievements. Episode No. 138 of Local Spins on WYCE also featured music by Joel Mabus, Shawn Butzin, B-Side Growlers, Frontier Ruckus, Beaver Crossing and Lazy Genius, plus music from Bet on Rats, Seth Bernard and Steve Talaga.